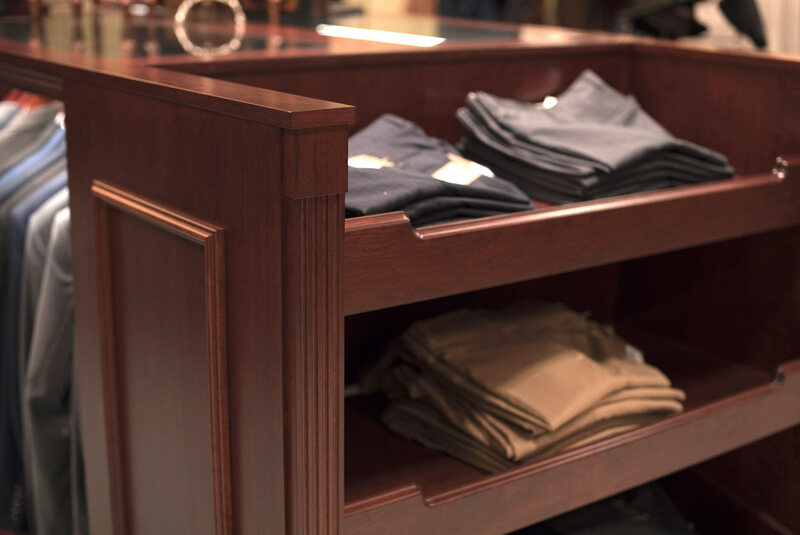 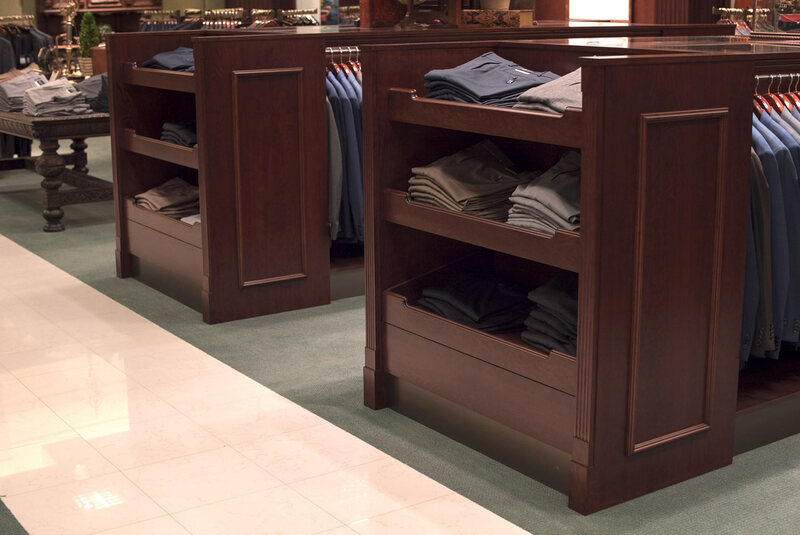 The low profile of these traditional and elegant cherry men’s suit fixtures maintain sightlines throughout the department creating an open and inviting shopping environment. 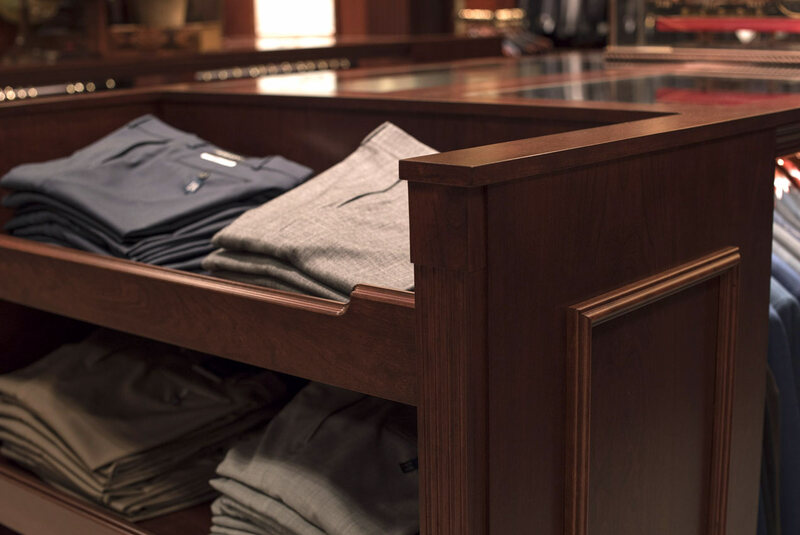 Shelves and drawers on the endcaps maximize the quantities of products that can be neatly displayed and allow the department to merchandise coordinating suits on a single fixture. 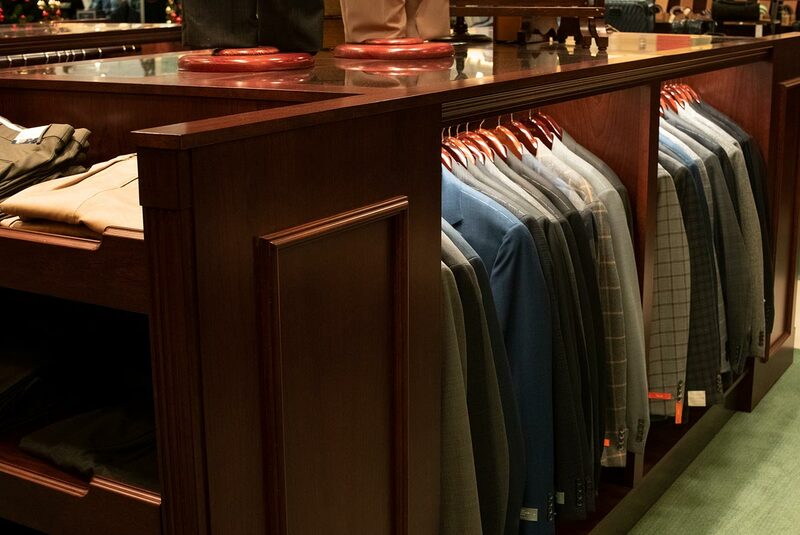 Lit racks make it easy for shoppers to better see the fine color, pattern and material details in the suit jackets.